Having a hearse in your business can be a great investment. If you have a funeral home, it is a good idea to provide funeral vehicle service so your clients do not have to look for it anywhere else. Or you might have an entertainment company and offer a hearse for events or special rides – for instance, for holidays like Halloween. It is a vehicle not every company can provide their clients with so it can be really profitable to have it in your business. If you do, you should also carry proper Hearse Insurance to protect your assets. 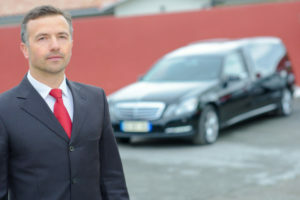 Do you need California Hearse Insurance? As any commercial auto, your hearse requires coverage. First of all, you need to have Liability Insurance as required by law. If will pay for other people’s Bodily Injury and Property Damage if your hearse at fault. Another important coverage is Physical Damage. While you are not obliged to carry it, you cannot risk not having it. It includes two coverages: collision insurance and comprehensive insurance. The former will protect you in case of a crash and the latter in any other situation when your hearse is damaged. It is also a good idea to have Med Pay on your hearse. No matter who is at fault, it will cover medical bills for your driver and the passengers of your hearse.There are additional coverages you can add to your hearse insurance. To discuss what you should have in your policy, call SafeLine Truck Insurance and talk to one of our professional agents. We will optimize your insurance for you so it can fully protect you at the lowest possible rates. We offer low down payments and discounts. Get a free insurance quote online on our website. We will be glad to assist you with your commercial auto insurance!